Studio Yellow, Black and White together with the film company "Solyvs"
The action takes place in the era of reforms of Peter the Great. In those days, when in the taiga the nascent empire crushed the voivodeship's Middle Ages. Everything mixed up here: both faiths and peoples. The history of Russian Asia was created by captured Swedes, foreigners, Bukhara merchants, officials and officers, convicts, architects and chroniclers, Chinese smugglers, shamans and escaped dissenters, Orthodox missionaries and warlike steppe djungars. 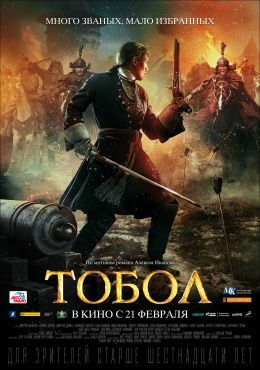 Dmitry Dyuzhev played Peter I in the historical drama "Tobol".